1. 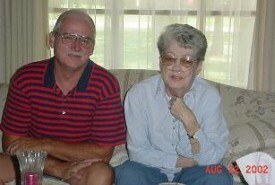 Ruth Ann Thomas, born August 01, 1935 in Laddonia,Audrain Co.,MO. ; died September 16, 2002 in Farmington,St. 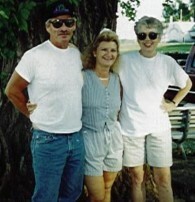 Francois Co.,MO.. She was the daughter of 2. Cyrus Walter Thomas and 3. Effie Laura Williams. She married (1) Robert Firman Maxwell May 21, 1955 inCaledonia, Washington Co.,MO.. He was born May 24, 1932 in Caledonia,Washington Co.,MO.. He was the son of Curtis Hughes Maxwell and Lena Rutledge. 2. Cyrus Walter Thomas, born April 09, 1907 in Rockport,IL. ; died March 04, 1977 in Louisiana,Pike Co.,MO.. He was the son of 4. William Searcy Thomas and 5. Deborah McMullen. He married 3. Effie Laura Williams 1933 in Laddonia,Audrain Co.,MO..
3. Effie Laura Williams, born September 21, 1914 in Belleview,Iron Co.,MO. 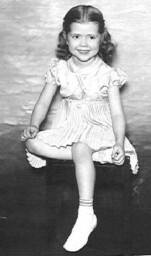 ; died May 07, 1976 in Ironton,Iron Co.,MO.. She was the daughter of 6. Bess Williams/Farrage/ and 7. 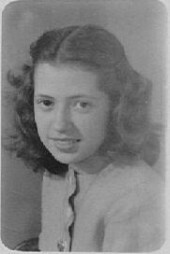 Stella Wetzler. 1i.Ruth Ann Thomas, born August 01, 1935 in Laddonia,Audrain Co.,MO. ; died September 16, 2002 in Farmington,St. Francois Co.,MO; married Robert Firman Maxwell May 21, 1955 in Caledonia,Washington Co.,MO..
4. William Searcy Thomas, born 1878 in MO. ; died 1933. He was the son of 8. Joseph A. Thomas and 9. Annie M. Bugg. He married 5. Deborah McMullen. 5. Deborah McMullen, born 1880; died 1915. She was the daughter of 10. Cyrus McMullen and 11. Martha A. Drummond. 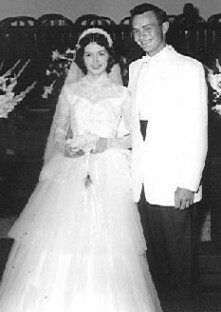 i.Ruth Thomas, married Robert Bjork. 2iii.Cyrus Walter Thomas, born April 09, 1907 in Rockport,IL. 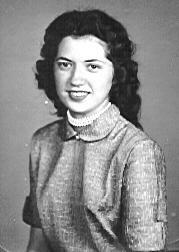 ; died March 04, 1977 in Louisiana,Pike Co.,MO; married (1) Effie Laura Williams 1933 in Laddonia,Audrain Co.,MO. ; married (2) Julia // Abt. 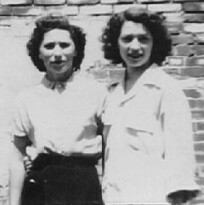 1940; married (3) Virginia Fritch Abt. 1970. 6. Bess Williams/Farrage/, born May 23, 1890 in Damascus,SYRIA-Beirut,LEBANON; died March 15, 1970 in Caledonia,Washington Co.,MO.. He married 7. Stella Wetzler February 18, 1912. 7. Stella Wetzler, born January 05, 1895 in probably CA. ; died January 14, 1976 in Caledonia,Washington Co.,MO.. She was the daughter of 14. George Wetzler,Jr. and 15. Laura J. Douglas. i.John Albia Williams, born April 17, 1913 in Bixby,Iron Co.,MO. ; died January 25, 1964 in Jefferson City,Cole Co.,MO; married Leona Knife May 29, 1935 in Columbia,Boone Co.,MO; born February 11, 1910. 3ii.Effie Laura Williams, born September 21, 1914 in Belleview,Iron Co.,MO. ; died May 07, 1976 in Ironton,Iron Co.,MO; married (1) Cyrus Walter Thomas 1933 in Laddonia,Audrain Co.,MO. ; married (2) Arthur Paul Civey May 23, 1940 in St. Charles,St. Charles Co.,MO..
iii.Zefevia Williams, born February 25, 1917; died October 06, 1919.
iv.George Emmett Williams, born June 09, 1918 in Pilot Knob,MO. ; died November 17, 1970 in Caledonia,Washington Co.,MO; married L. Peggy Benton April 24, 1943; born 1922; died 1988.
v.Claude Harrison Williams, born April 29, 1919 in MO. ; died May 09, 1919 in MO. vi.Elizabeth Williams, born July 16, 1921 in Belleview,MO. ; died December 23, 1989 in St. Charles,MO; married Joe Ross September 15, 1942; born June 30, 1918; died December 1996.
vii.Abraham Kannine Williams, born September 12, 1923 in Wentzville,MO. ; died October 18, 1944 in Ironton,MO. viii.Zada Marie Williams, born February 05, 1926 in Wentzville,MO; married Leslie Lee Gordon, Jr. in Pocahantas,Randolph Co.,AR. 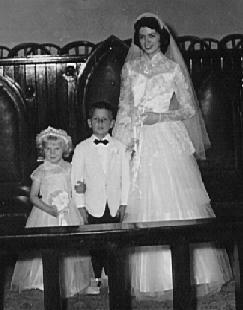 ix.Frieda Eunice Williams, born February 25, 1927 in Wentzville,MO; married James Otto August 04, 1962 in St. Louis,St. Louis Co.,MO; born March 12, 1927.
x.Betty Josephine Williams, born January 16, 1928 in Wentzville,MO; married (1) Glenn Paul Mormino; married (2) Lavern Dale Evans,Sr. February 14, 1952 in St. Louis,St. 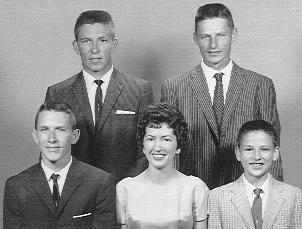 Louis Co.,MO; born March 14, 1936 in Courtois,Washington Co.,MO..
xi.Stella Ruth Williams, born March 22, 1929 in Wentzville,MO; married James Hockinghomer October 07, 1949 in Caledonia,Washington Co.,MO; born October 02, 1928 in Caledonia,Washington Co.,MO..
xii.Bess Woodrow Williams,Jr., born November 18, 1932 in Wentzville,MO; married Alta Mae Cassidy March 20, 1954; born July 18, 1925.
xiii.Franklin Delano Williams, born May 20, 1934 in Wentzville,MO; married Norma Jean Barbee September 03, 1953 in Caledonia,Washington Co.,MO; born August 05, 1935.
xiv.Kathryn Elaine Williams, born May 29, 1940 in Caledonia,Washington Co.,MO; married (1) Kenneth Strange December 28, 1958 in Caledonia,Washington Co.,MO; married (2) Gene Snodgrass March 04, 1966 in Columbia,Boone Co.,MO; married (3) Roy Bogle December 15, 1989 in Tulsa,Tulsa Co.,OK. 8. Joseph A. Thomas, born 1849 in MO. ; died 1935. He was the son of 16. Michael Thomas and 17. //. He married 9. Annie M. Bugg September 18, 1869 in Boone Co.,MO..
9. Annie M. Bugg, born 1851 in MO. ; died 1934. She was the daughter of 18. // Bugg. i.John A. Thomas, born 1875 in MO. ; died 1949. 4ii.William Searcy Thomas, born 1878 in MO. ; died 1933; married Deborah McMullen. iii.Monta P. Thomas, born 1883; died 1953. 10. Cyrus McMullen, born March 08, 1838 in OH. ; died February 09, 1910 in Pike Co.,IL.. He was the son of 20. John McMullen and 21. Louvina Cooper. He married 11. Martha A. Drummond. 11. Martha A. Drummond, born February 04, 1842 in OH. ; died November 13, 1922. She was the daughter of 22. // Drummond and 23. //. 5i.Deborah McMullen, born 1880; died 1915; married William Searcy Thomas. 14. George Wetzler,Jr., born March 30, 1869 in MO. ; died 1918 in CA.. He was the son of 28. George Wetzler and 29. Augusta Tilley. He married 15. Laura J. Douglas March 18, 1893 in Iron Co.,MO..
15. Laura J. Douglas, born 1876 in MO. ; died in CA.. She was the daughter of 30. Martin Douglas and 31. Teresa An //. 7i.Stella Wetzler, born January 05, 1895 in probably CA. ; died January 14, 1976 in Caledonia,Washington Co.,MO; married Bess Williams/Farrage/ February 18, 1912. 16. Michael Thomas, born 1822 in AL. ; died September 01, 1879. He married 17. //. 17. //, born in AL..
8i.Joseph A. Thomas, born 1849 in MO. ; died 1935; married Annie M. Bugg September 18, 1869 in Boone Co.,MO..
18. // Bugg, born in MO..
9i.Annie M. Bugg, born 1851 in MO. ; died 1934; married Joseph A. Thomas September 18, 1869 in Boone Co.,MO..
20. John McMullen, born 1810 in IRELAND; died February 20, 1855 in Clark Co.,IL.. He married 21. Louvina Cooper November 04, 1833 in Clark Co.,OH..
21. Louvina Cooper, born Abt. 1815 in OH..
10i.Cyrus McMullen, born March 08, 1838 in OH. ; died February 09, 1910 in Pike Co.,IL; married Martha A. Drummond. 22. // Drummond, born in OH.. He married 23. //. 23. //, born in OH..
11i.Martha A. Drummond, born February 04, 1842 in OH. ; died November 13, 1922; married Cyrus McMullen. 28. George Wetzler, born 1839 in Bavaria,GERMANY; died Bef. February 13, 1873. He married 29. Augusta Tilley. 29. Augusta Tilley, born 1845 in Hanover,GERMANY. She was the daughter of 58. // Tilley and 59. Christina //. i.Augusta Wetzler, born October 30, 1867 in MO. 14ii.George Wetzler,Jr., born March 30, 1869 in MO. ; died 1918 in CA; married Laura J. Douglas March 18, 1893 in Iron Co.,MO..
iii.Frederica Wetzler, born June 16, 1872 in Iron Mountain,Iron Co., MO. ; died August 10, 1945 in Grand Junction, CO.; married Simon Trinkline (Trinklein), Sr.
30. Martin Douglas, born 1851 in MO.. He was the son of 60. // Duglas and 61. //. He married 31. Teresa An //. 31. Teresa An //, born 1857 in MO.. She was the daughter of 62. // and 63. //. 15i.Laura J. Douglas, born 1876 in MO. ; died in CA; married (1) // Dunlap; married (2) George Wetzler,Jr. March 18, 1893 in Iron Co.,MO..
ii.Henry A. Douglas, born 1878 in MO. iii.John M. Douglas, born 1880 in MO. 58. // Tilley He married 59. Christina //. 59. Christina //, born 1816 in Hanover,GERMANY. 29i.Augusta Tilley, born 1845 in Hanover,GERMANY; married George Wetzler. 60. // Duglas, born in IN.. He married 61. //. 61. //, born in TN..
30i.Martin Douglas, born 1851 in MO; married Teresa An //. 62. //, born in HUNGARIA. He married 63. //. 63. //, born in HUNGARIA. 31i.Teresa An //, born 1857 in MO; married Martin Douglas. The information on this page may not be reproduced or republished without my express written permission. in Laddonia, Audrain Co., MO. in Farmington, St. Francois Co., MO. with emphazema & lung cancer. Her family & relatives will miss her very much. She collected angels all her life & now she has gone to be one. 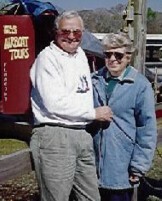 Bob & Ruth Ann in FL. a few weeks before she died. I have found more ancestors of Ruth Ann's from the time that I published this page in Oct. She would have been thrilled! Please note new email address at top of page! Page last updated on March 6, 2004.